WASHINGTON (AP) — President Donald Trump defended continuing huge sales of U.S. weapons to Saudi Arabia on Thursday despite rising pressure from lawmakers to punish the kingdom over the disappearance of a Saudi journalist who lived in the United States and is now feared dead. As senators pushed for sanctions under a human rights law and also questioned American support for the Saudi-led bombing campaign in Yemen, Trump appeared reluctant to rock the boat in a relationship that has been key to his strategy in the Middle East and which he described as “excellent.” He said withholding sales would hurt the U.S. economy. Trump, questioned by reporters at the White House, said, “If it turns out to be as bad as it might be, there are certainly other ways of handling this situation” besides canceling arms sales. He did not elaborate. He said earlier on “Fox & Friends” that “we have investigators over there and we’re working with Turkey” and with Saudi Arabia on the case, but he provided no evidence or elaboration. Even before Khashoggi’s disappearance, lawmakers had soured on a Saudi government they view as having a high-handed attitude. Some have been incredulous at its denials of wrongdoing and contention it has no recorded video footage from the consulate showing Khashoggi, who had been living in self-exile in Virginia for the past year. 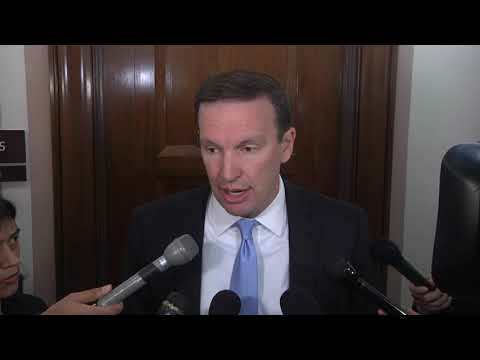 Democratic Sen. Chris Murphy voiced doubt there would be support in Congress to approve another arms sale to Saudi Arabia — although lawmakers haven’t blocked sales before. He also called for at least a temporary halt in U.S. military support for the Saudi bombing campaign against Iranian-backed rebels in Yemen. If Saudi Arabia is not telling the truth about Khashoggi, he told reporters, “why would we believe them that they are not intentionally hitting civilians inside Yemen?” Murphy was among seven senators who wrote to Secretary of State Mike Pompeo on Wednesday raising concerns over last month’s certification that a Saudi-led coalition was taking actions to protect civilians despite what the lawmakers described as a dramatic increase in deaths. The Trump administration, however, is heavily invested in the long-standing, U.S. relationship with Riyadh. It relies on Saudi support for its Middle East effort to counter Iranian influence and fight extremism. Trump’s son-in-law, Jared Kushner, has cultivated close ties with Saudi Crown Prince Mohammed bin Salman, and was instrumental in last year’s $110 billion arms package. Those associations could become a political liability if Prince Mohammed is implicated in Khashoggi’s disappearance. The Washington Post, citing anonymous American officials it said were familiar with U.S. intelligence, said the crown prince had previously ordered an operation to lure Khashoggi back to Saudi Arabia and detain him. In Turkey on Thursday, a spokesman for President Erdogan told the state-run Anadolu Agency that Turkey and Saudi Arabia would form a “joint working group” to look into the journalist’s disappearance. Associated Press writers Padmananda Rama, Susannah George, Deb Riechmann and Matthew Lee contributed to this report.